Being a boating accident attorney in Denver, Colorado may not sound like a busy job—Colorado being the second-driest state in the country—but despite the dryness, marine accidents are more common than you would think. While less than 0.5 percent of Colorado is covered in water, Colorado Parks and Wildlife reports that 85,730 private water vessels were registered with the state last year. With so many boats crammed into such small bodies of water, with such a small window for boating season –16 weeks or so out of the year – accidents are bound to happen. If you have suffered injuries in a boating accident, call one of our experienced lawyers in Denver who specialize in personal injury cases at 303-792-5595 while there is still time. Right now, you do not need to have a permit or license to operate a boat with an engine in Colorado. However, state law does require that operators be at least 16 years old, or at least 14 if the operator has passed an approved boating safety course and has been subsequently certified. This is a leading cause in most Colorado boating accidents since roughly 98 percent of boat operators who get into an accident have had no boat safety education. Hiring one of our boating accident attorneys can help you get the compensation you deserve if you have been injured in a boating accident. 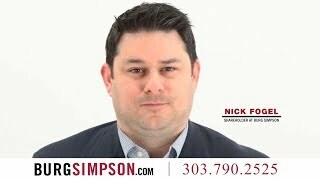 Burg Simpson’s Denver based law firm is dedicated to holding negligent boaters accountable for their actions. If you or a loved one have been injured in any type of marine accident, you deserve compensation for your injuries. Burg Simpson wants to help you. Contact one of our boating accident attorneys today by filling out a Free Case Evaluation form with the details of your accident. Whether the boat or boats involved are private or commercial. The function of the owners and operators of the vessels. Whether any injuries were suffered in the course of employment. 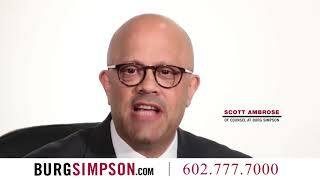 Burg Simpson is dedicated to holding negligent boaters accountable for their actions. Reach out to us now for help with your case before it is too late. What are the particular factors that could affect my claim? When reviewing your case, you need to consider the type or types of watercraft involved, whether the accident happened in the course of employment, who owns and operates the marine vessels involved, among other factors. The laws governing marine accidents differ from those that govern motor vehicle accidents, so it’s critical you have a lawyer experienced in dealing with marine cases. Contact us for free! You could be entitled to receive compensation for medical costs, ongoing care, funeral costs, lost wages, future income potential, pain and suffering, and punitive damages depending on the circumstances surrounding your case. What if I my injury took place on a cruise ship? Cruise ship cases can be incredibly complex. Cruise ship operators may have special provisions written into their contracts that require claimants to file any claims against them in a different state, and your contract could also include other provisions that make it even more difficult to file your case. That is why it can be particularly important that you seek experienced a Denver personal injury attorney as soon as possible after you receive medical attention so that you have the best possible chance to seek fair compensation for your injuries. 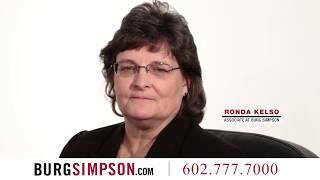 Our personal injury lawyers in Denver have over 40 years of experience. We are here to help you rebuild your life and help punish negligent or reckless boaters. Marine accidents present a unique set of circumstances and difficulties, so do not risk everything by trying to handle the case yourself or by relying on an injury attorney that is not experienced in this field. Hire a marine lawyer who knows the ins and outs of the law. Fill out our FREE Evaluation Form here or call Burg Simpson right now at 303-792-5595.